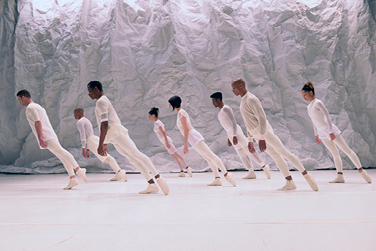 Clad in ethereal white, dancers’ undulating arms and hips sway across a stark, enigmatic landscape. Hypnotic movements, athletic suspensions and gravity-challenging floor work mesmerize audiences. Brazilian dance troupe Grupo Corpo’s style has always been distinctive, and in this evening of contemporary dance, the company’s proud otherness and vivid imagination shine through. The performance is accompanied by original instrumental music by Samuel Rosa. Rose is the vocalist and guitarist for Skank, a massively popular Brazilian band whose unique fusion sound spans dancehall reggae, Brazillian folk and rock. Join the artists for a post-performance conversation. Become a NextLEVEL Pass subscriber to get the best price on tickets, plus access to great subscriber benefits like discounted parking, no booking or exchange fees and other exclusive perks!